All purchases now come with a FREE 8 page downloadable PDF sampler with art from four of my mandala adult coloring books (Animals, Flowers, Dreams and Oceans)! This listing is for a signed physical copy of the book by the illustrator, Wendy Piersall (that's me!). 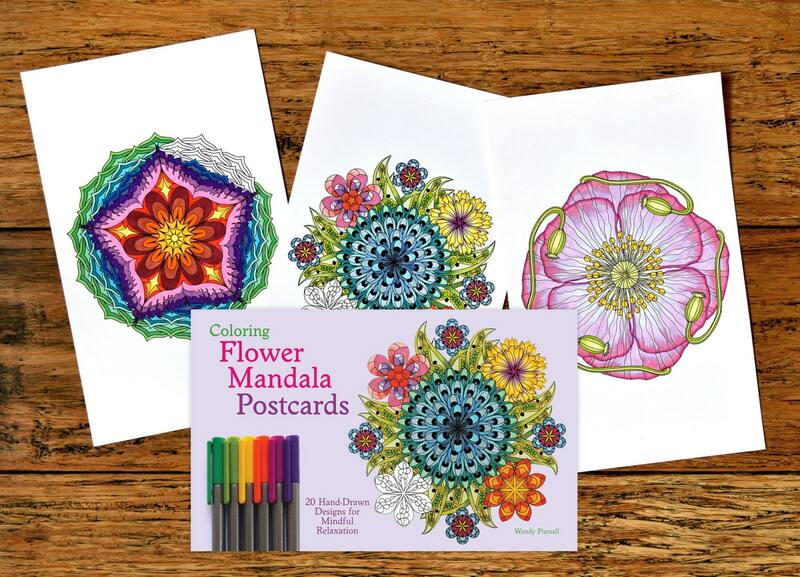 Coloring Flower Mandala Postcards is based on my best-selling book Coloring Flower Mandalas, but the art is specifically adapted to a smaller 5" x 8.5" format. The book is printed on very nice, thick card stock and have a place for a written message and postage stamp on the back (see last photo). If you would like a customized message written along with the author signature, please leave *exact wording* in the note to seller field when you make your purchase. Relax, focus, reach a higher state of mindfulness and express your creativity coloring these intricate floral mandalas. When finished, tear out your new works of art and share them with friends and family, or hang them as colorful wall art! 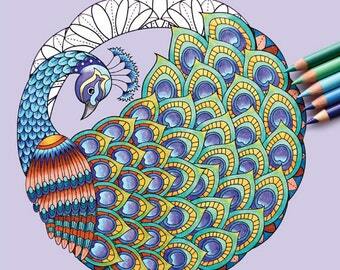 CHECK OUT MY OTHER COLORING BOOKS FOR ADULTS! Wonderful lyrical and easy to use. Thank you! A gift that she loved as soon as I have it to her! She spends a lot of time during with adults and uses it to pass the time while they sleep.